Commercial Building & Restoration, Inc. Rebuilding the past, better for the future. Commercial Building & Restoration, Inc is a full service commercial and industrial roofing contractor offering a full complement of roofing solutions: roof systems, emergency leak service, roof repair, maintenance programs and multiple site roof inspections. 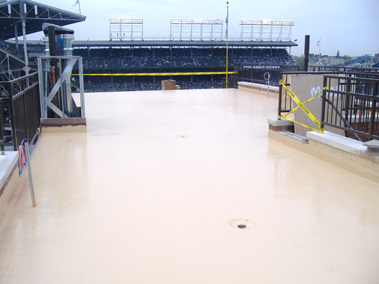 Our re-roofing services are typically on flat roofs utilizing EPDM roofs (rubber roofing), TPO, liquid roof, bitumen roof, spray polyurethane foam and coatings. We proudly serve the Tri-State area.